StoneFlecks™ Ultra Multicolor The Loft Collection | Hawk Research Laboratories, LLC. 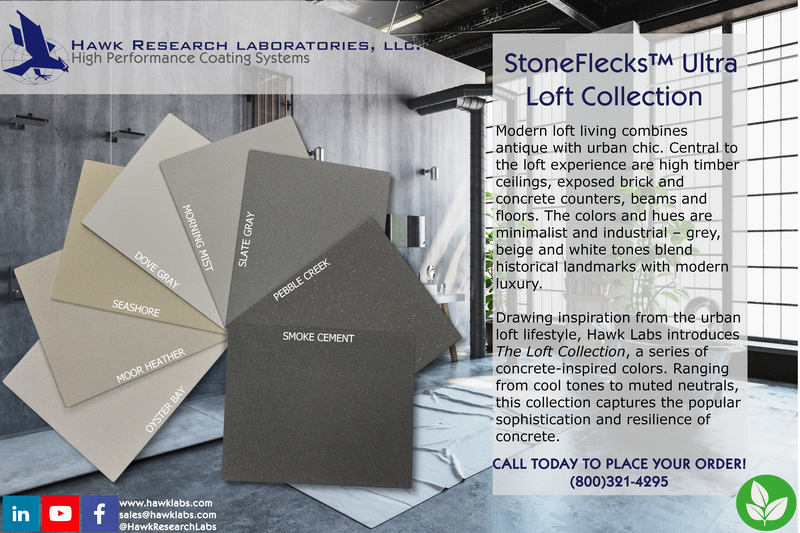 WHEELING, IL (June 4, 2018) – Hawk Research Laboratories, LLC today released StoneFlecks™ Ultra Multicolor The Loft Collection. Modern loft living combines antique with urban chic. Central to the loft experience are high timber ceilings, exposed brick and concrete counters, beams and floors. The colors and hues are minimalist and industrial – gray, beige and white tones blend historical landmarks with modern luxury.